A major refurbishment by the owner of 215 Adelaide Street, Brisbane, a Pramerica-managed fund, is paying dividends as several high profile tenants sign lease agreements. 215 Adelaide Street and the Rowes building were previously connected via an arcade, but neither had a true identity. The landlord has undertaken one of the largest office refurbishments in Brisbane CBD’s history by unlocking three retail areas on the podium levels - Rowes building on Edward Street, Post Office Square retail and Adelaide Street retail. 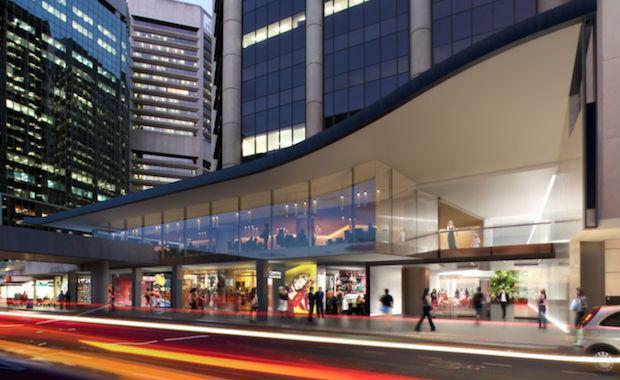 The refurbishment also includes construction of a new 9-metre-high office lobby including a brand new double-height awning to Adelaide Street and Post Office Square. This marks the first Queensland retail operation for Jamie's Italian and Thr1ve and the first Brisbane store for TM Lewin. Due to this substantial refurbishment, retail handovers are being staggered, with three tenants having commenced fit-out and the remainder beginning in early October. Mr Platsis stated the key mandate for the retail refurbishment was to reduce the number of tenants while ensuring that every retailer benefited from the various street frontages on offer. "Post Office Square is looking to become a new food and beverage hub with operators trading across breakfast, lunch and dinner. Only one restaurant tenancy remains for lease in this location," said Mr Platsis.